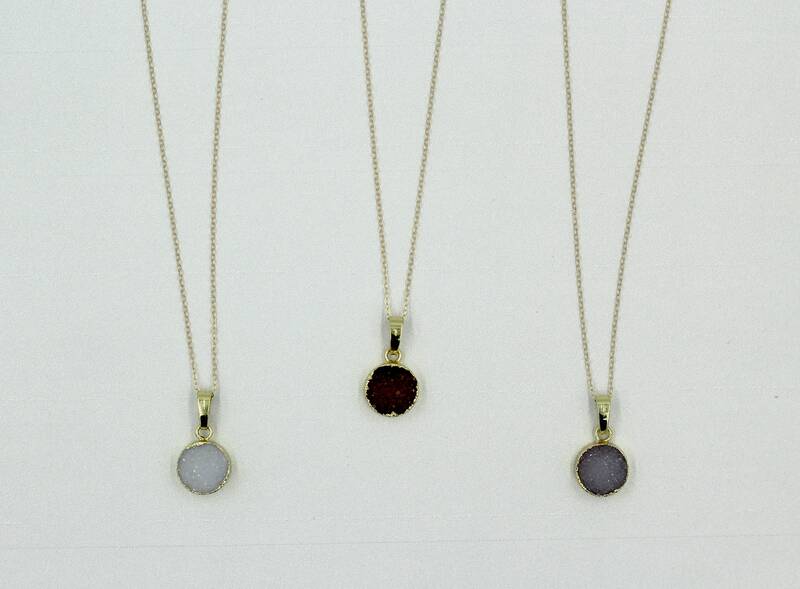 These beautiful necklaces are perfect for bridal parties. 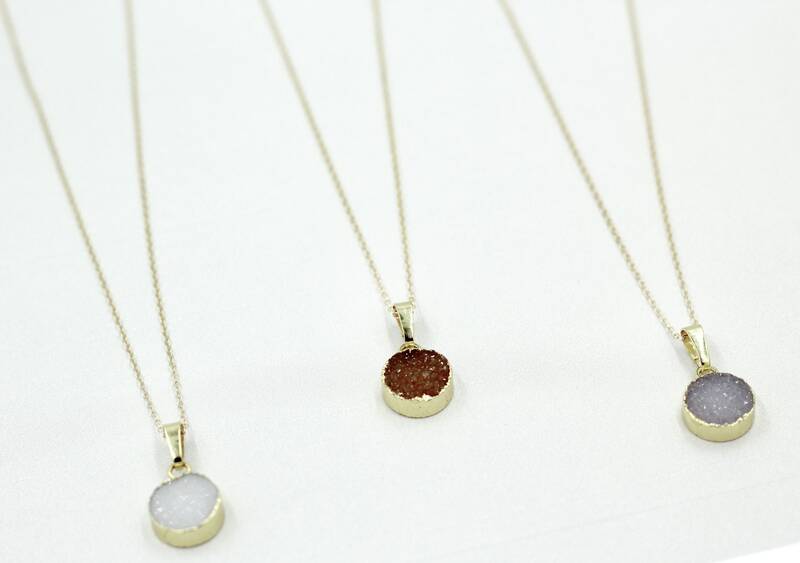 These are natural druzy stones and therefore each one is unique. The color you receive will not match exactly the color in the picture due to natural variations, but it will be very close. If you have any questions or requests please feel free to message me. Matching earrings and gift notes available upon request.